Founded in 2004, The Derbin Group offers distinctive services through two entities, Derbin Research & Evaluation (DRE) and Resumes that Work! 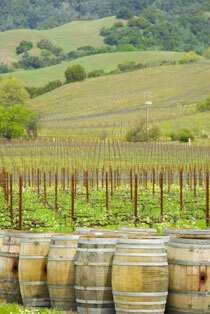 Now located in Napa, we continue to serve and satisfy clients throughout California and beyond. DRE delivers expert survey research and program evaluation consulting, data collection, analysis, and reporting services to nonprofit, not-for-profit, healthcare, academic, research institute, consulting firm, small business, and government clientele. We specialize in conducting healthcare, public health, and public policy research and evaluation projects, collecting data from residential, business, executive, student, low income, ethnic and language minority, and high risk populations. Resumes That Work! provides targeted services to job hunters including résumé, cover letter, thank-you letter, biography, and LinkedIn profile preparation; and interview coaching services. We also develop job promotion documents and academic application essays. Our clients range from college-bound students to executives. View our career services testimonials. Why Choose The Derbin Group? As a small business, The Derbin Group furnishes the personalized service you want at a price you can afford. We make our clients successful by delivering top-of-the-line products and services. Better quality, service, and pricing – three great reasons to hire us for your next project.